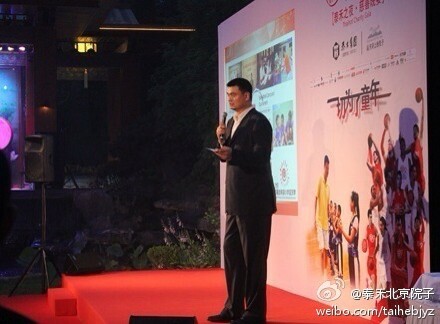 As usual, there was this Yao Foundation Charity Gala held last night. 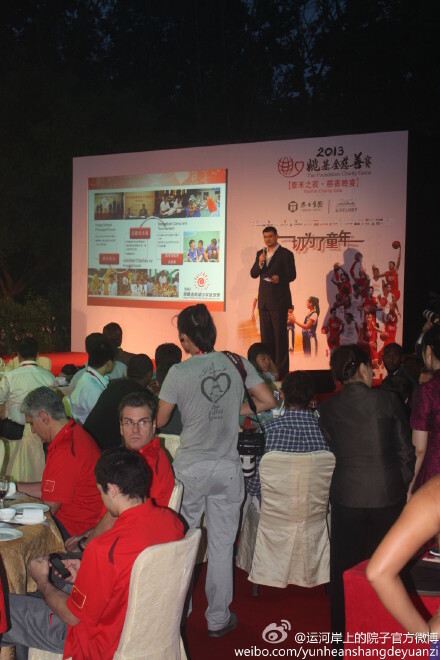 This time, the Charity Gala was sponsored by the Thaihot Group, an enlisted corporation which is a mega-conglomerate in residential and commercial real estate development, chemicals, mining, finance and securities, and bio-medicine. 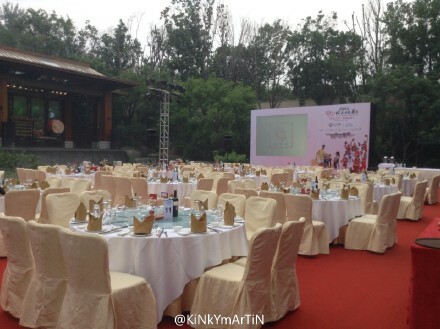 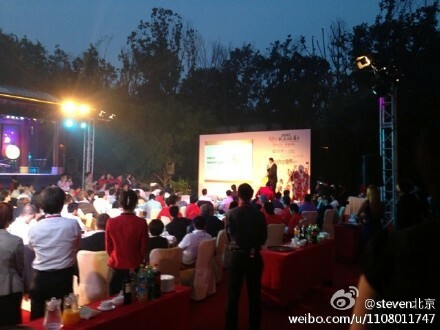 The charity gala was held outdoor in Thaihot's mega-project Courtyards by the Canal. 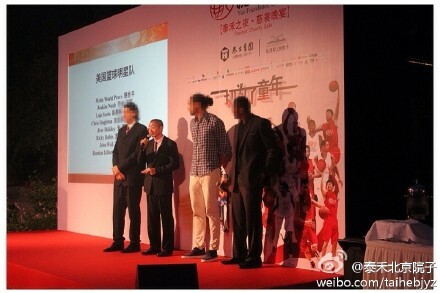 Luis Scola had made it to Beijing after a 30 some hours' flight from Buenos Aires, transiting Frankfurt and was present in this Gala dinner together with Chris Singleton and Joakim Noah; A couple of players of the China National team (Xirelijiang, Li Xiaoxu, Zhou Peng, Liu Xiaoyu and Zhang Bo) led by their head coach Panagiotis Giannakis were also there. 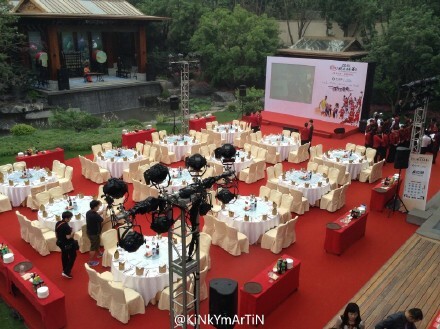 And during the gala dinner, it was announced that 4 NBA players that are currently in China on their Adidas sponsored roadshow (Ricky Rubio, Jrue Holiday, John Wall, Damian Lillard) will also be there in the MasterCard Centre aka Wukesong Arena tonight, but it is not yet sure whether they will play or not. 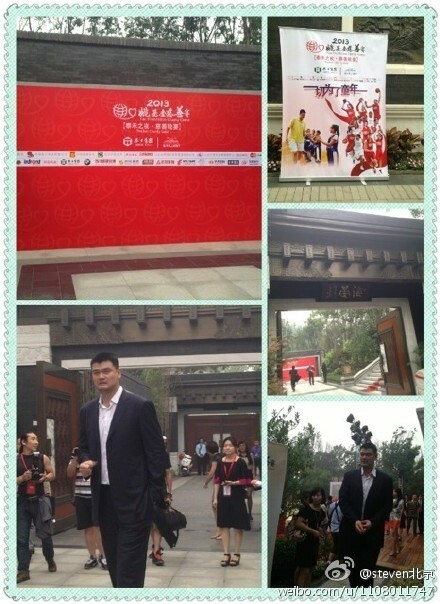 Here are some photos of last night's Yao Foundation Charity Gala. 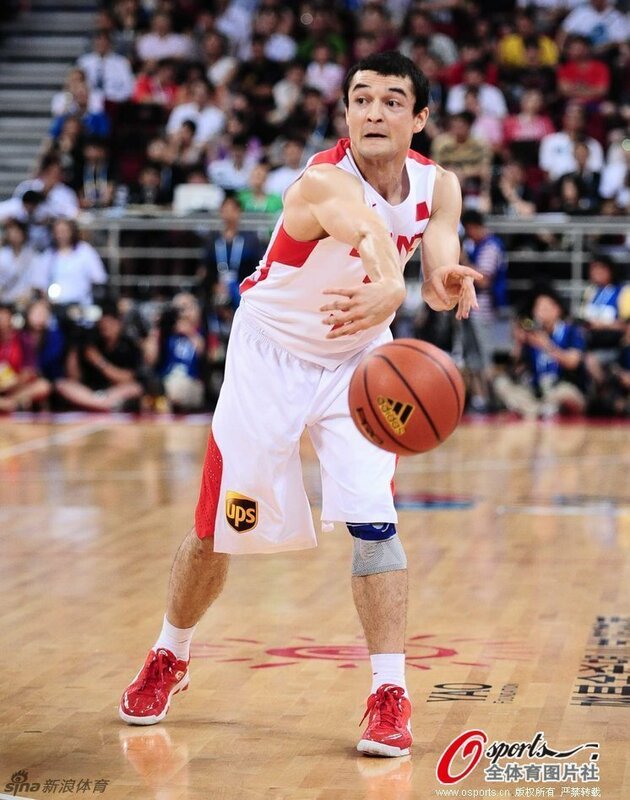 It was a most memorable night full of nostalgia, surprises, entertainment and fun for the full-capacity crowd attending the 2013 Yao Foundation Charity Game in MasterCard Centre aka Wukesong Arena last night in Beijing. 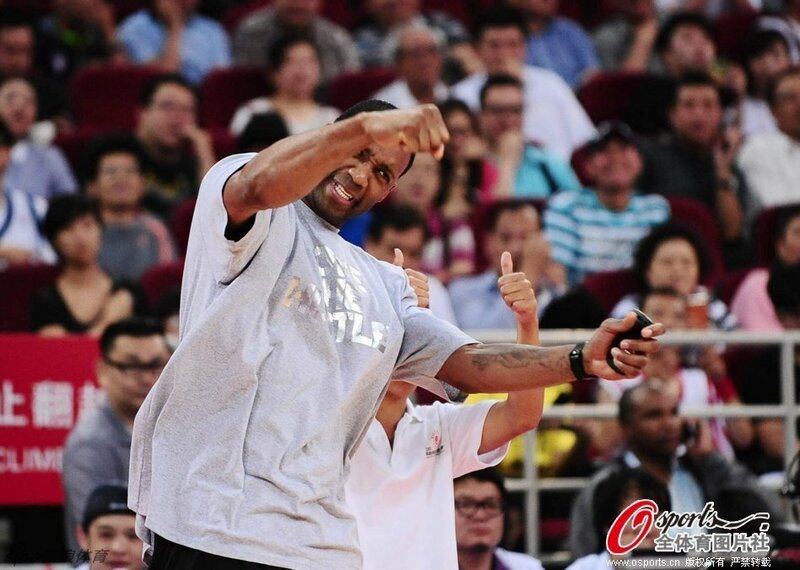 Firstly, the Chinese fans were able to see after all these years some of the old familiar faces of the Houston Rockets they revered as their home team: Tracy McGrady, Kyle Lowry, Metta World Peace aka Ron Artest and Luis Scola, even though Tracy McGrady did not dress up for the game as he just flew in from Changsha and was too tired to play. 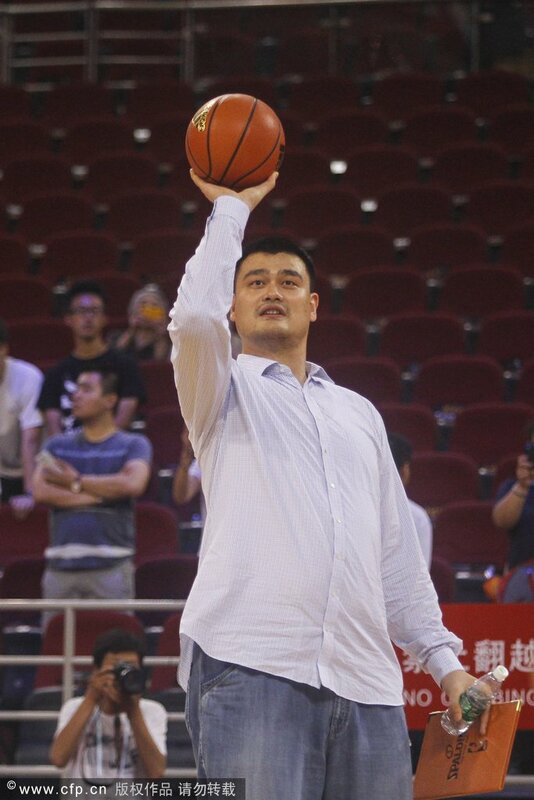 Secondly, they were able to see 4 other NBA star players in the game: Joakim Noah, George Hill, Chris Singleton and Ricky Rubio, despite with a little disappointment that the 3 other Adidas endorsed players (Jrue Holiday, John Wall, Damian Lillard) NO-SHOWED AFTER they promised they will come and play. 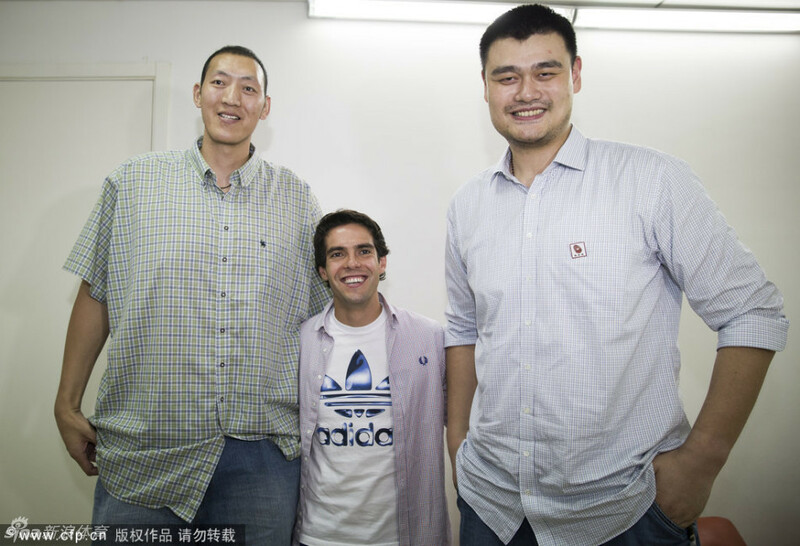 They did not show up with a lame excuse that they were stuck in torrential rain and heavy traffic of Beijing, but poked out to be lying cos Ricky Rubio made it to the game and play in 2Q and 4Q. 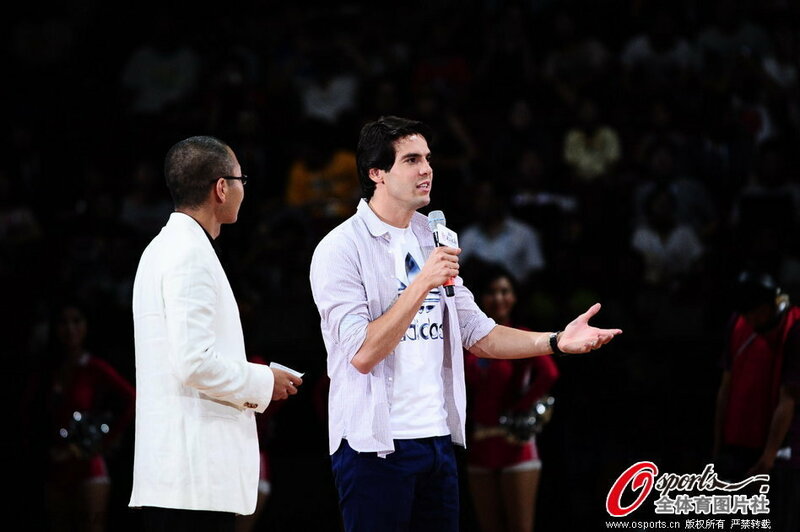 Thirdly, the full capacity crowd were surprised to see the extremely popular Brazilian soccer superstar Kaka of Real Madrid appearing on the court addressing the crowd. 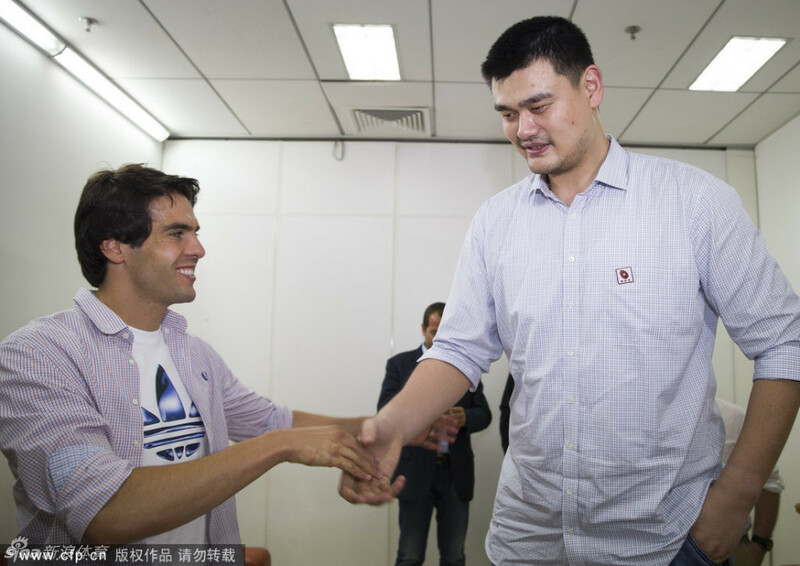 In his capacity as the ambassador of soccer for Brazil, Kaka just flew into Beijing to promote an upcoming friendly between the Brazilian national team and China national team in Bird's Nest in September. 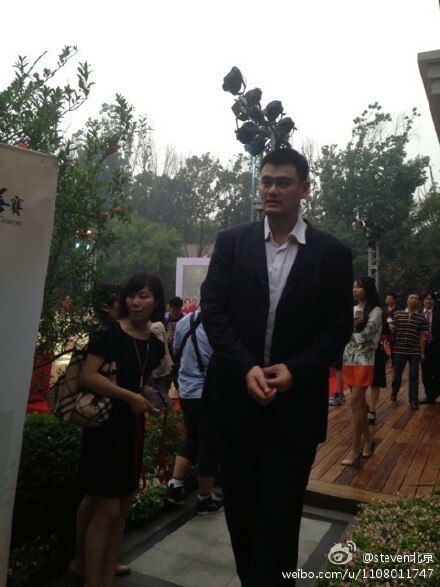 Fourthly, popular Tibetan singer/song-writer and philanthropist Han Hong, who is a good personal friend of Yao Ming, also appeared to show her support for Yao Ming's cause. 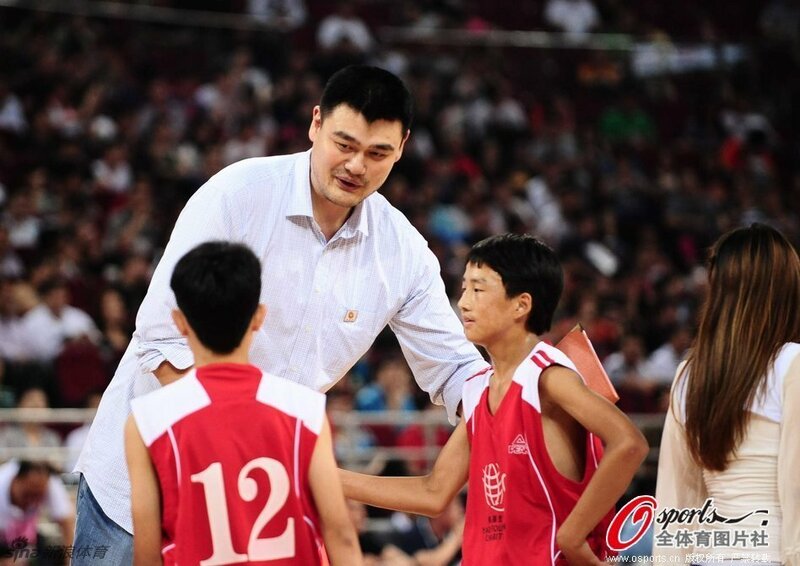 Together with Yao Ming and Wang Zhizhi (and 2 other school kids), Han Hong led the full capacity crowd singing the national anthem at the beginning of the game, and she also performed some of her famous folk songs during intermission. 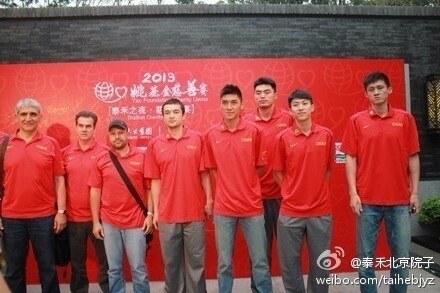 Lastly, Team Yao and the China national team did not play the full match. 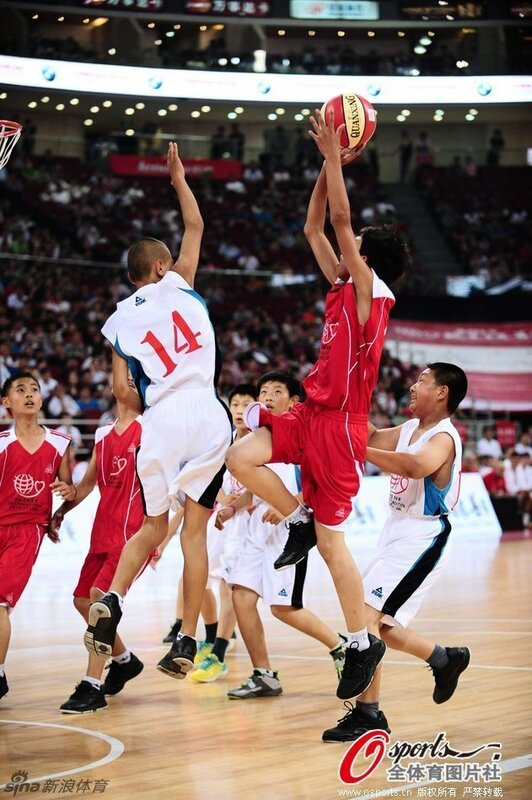 2 teams comprised of school kids from 2 Project Hope Primary Schools in Beijing took their place and played for the full 3Q. 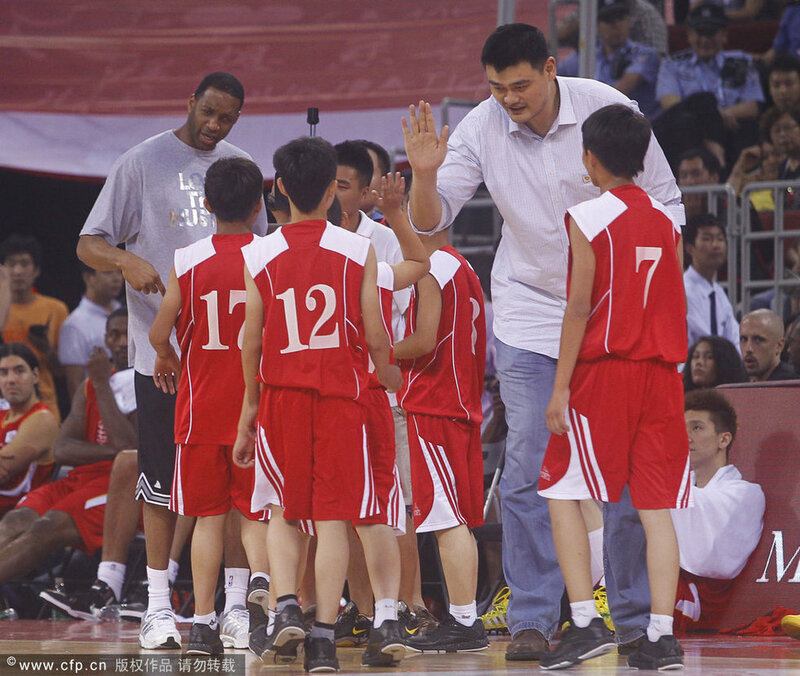 Yao Ming told reporters/fans in the Arena that he did that on purpose; he said he would think that this would be a life-time experience for the young boys and girls to be able to play in the arena that once hosted the basketball tournament of 2008 Beijing Olympic. 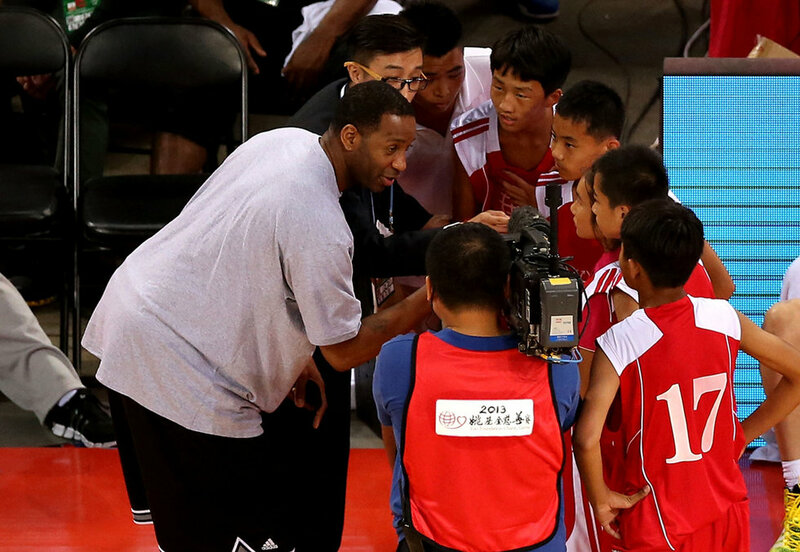 He hoped that through this experience, it would perhaps help the young kids to become stronger, optimistic and self-confident as well as give them more courage to overcome whatever adversities they will face in future. 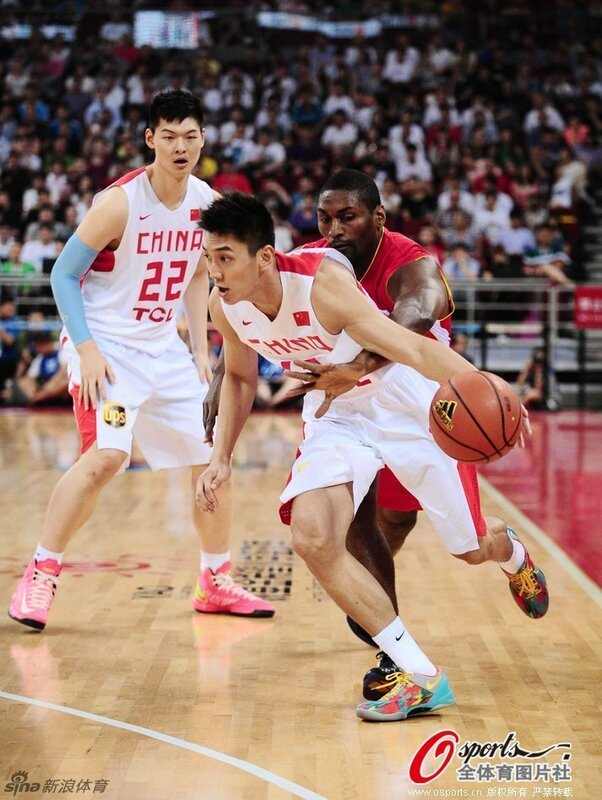 The game itself was a pretty tight and entertaining one. 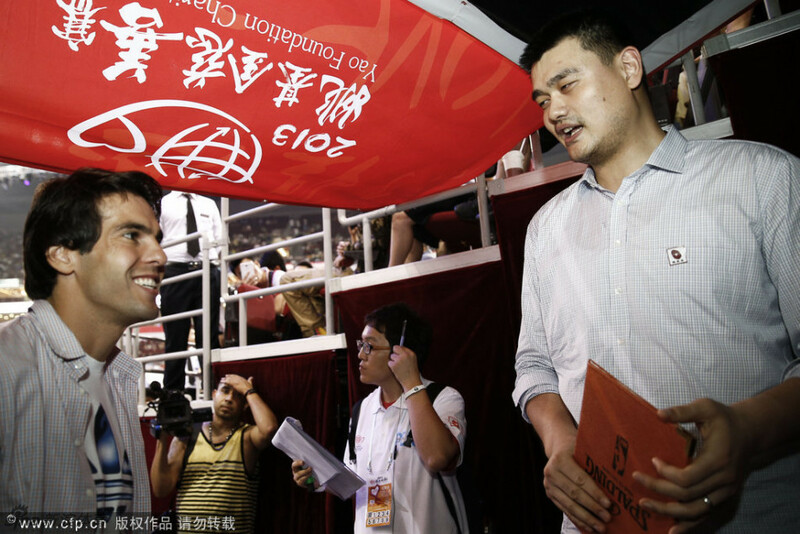 Even though it was just a friendly, the China national team put up a spirited fight to hold off Yao Team's NBA stars who obviously were still in their off-season shapes and conditions. 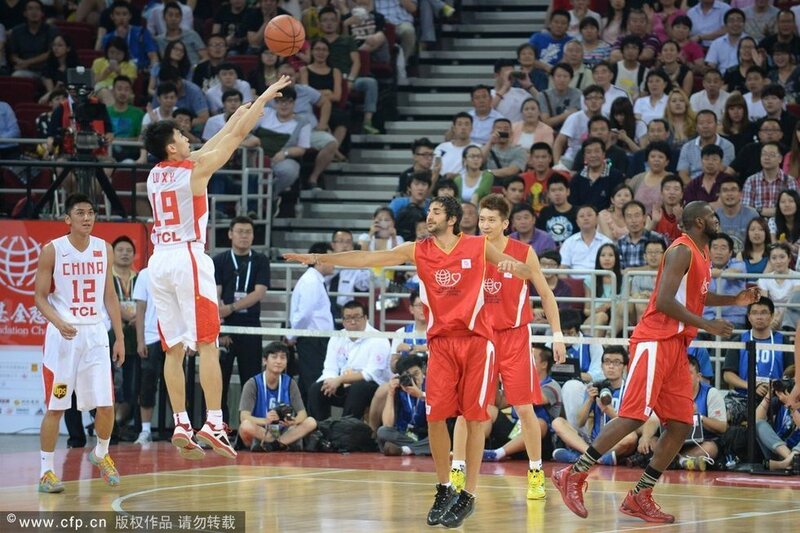 The China national team led by 6 points by half time, when the 2 Project Hope Primary School teams took their places. 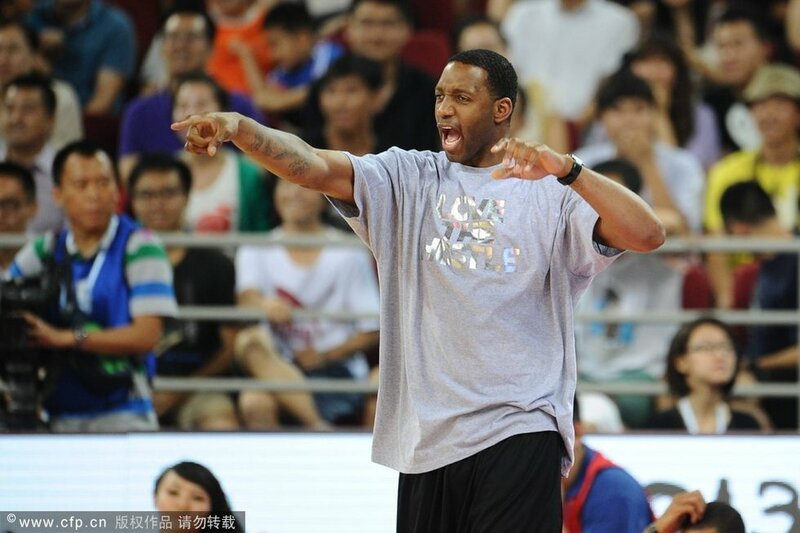 The "American" team coached by Tracy McGrady were able to reduce the arrears to only 2 points by end of 3Q. 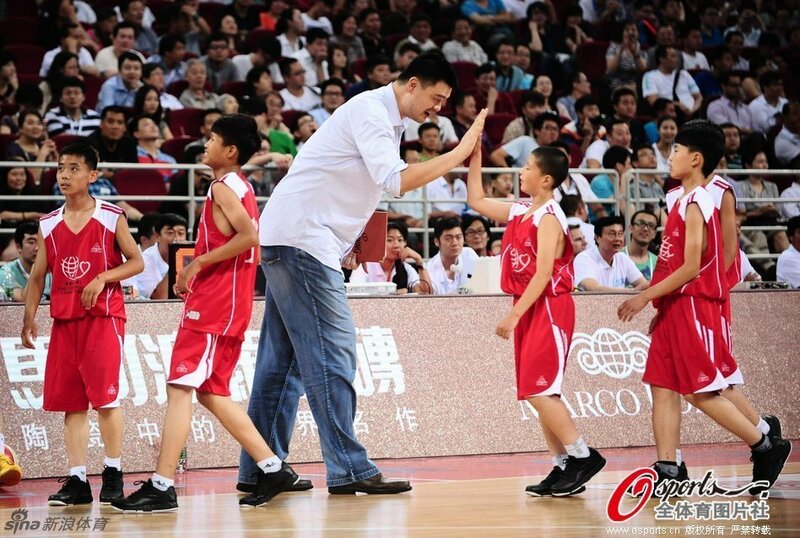 Then when the game resumed in 4Q, Yao Team, coached by Yao Ming, were able to get a run towards the latter half of 4Q and cruised to a 61 ~ 58 victory. 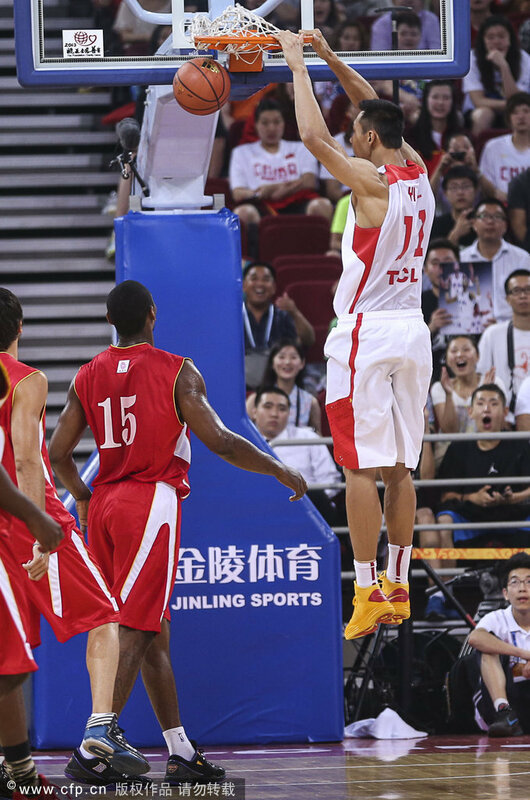 Joakim Noah shone amongst all the NBA players; he thrilled the crowd with lots of his fast breaks and dunks; he scored a game high 17 points (8/10 FG% 1/3 3-pointer% 0/1 FT%), 2 rebounds and 2 block shots. 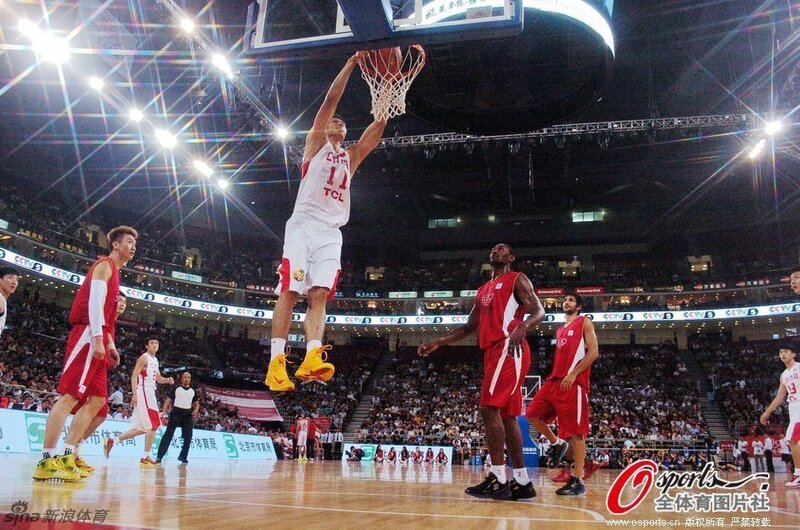 Luis Scola also thrilled the fans with his trademark low post skills and footwork; he scored 10 points (5/8 FG%) and 9 rebounds. 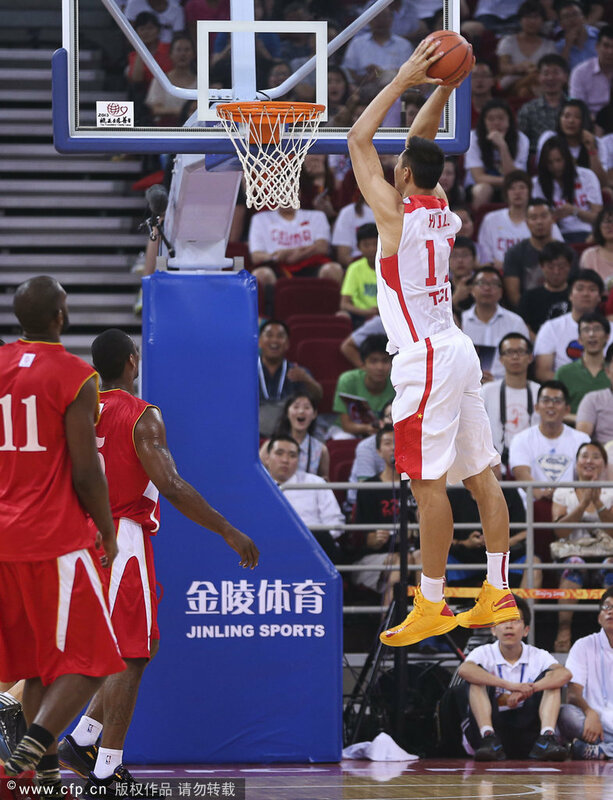 Wang Zhelin was the only player in the China national team scoring in double-digits. 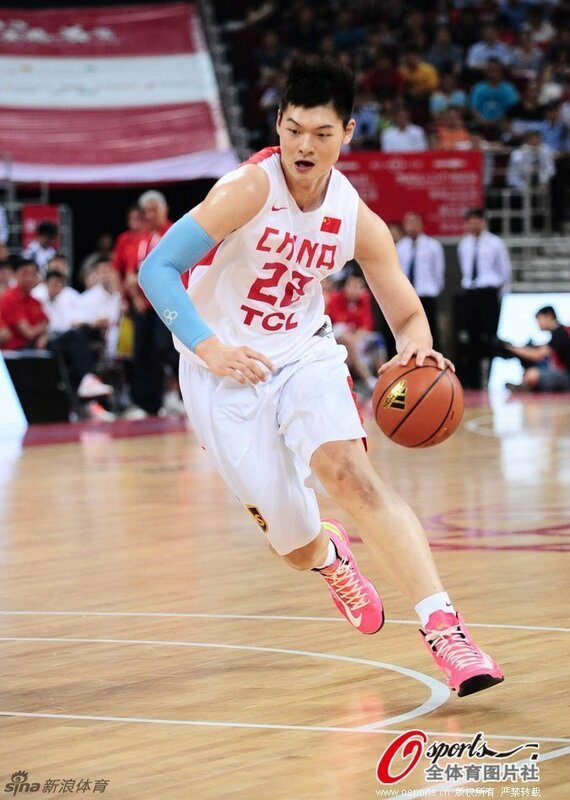 The 19-year-old proved he is the real deal pitching up against Luis Scola; he was the top scorer for CNT with 12 points (5/7 FG% 2/2 FT%), 4 rebounds, 1 assist and 2 steals in close to 19 minutes of play. 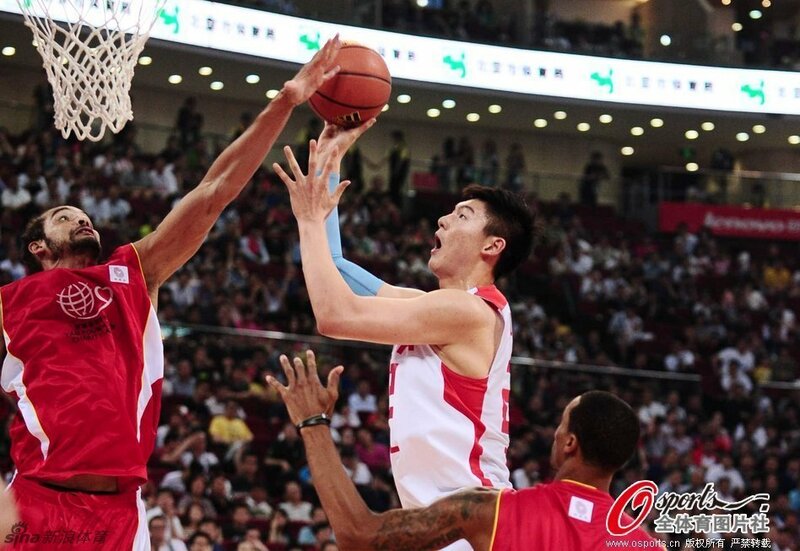 Compared to Wang Zhelin, Yi Jianlian SUX as he was pitched up against Joakim Noah; he bricked tons of his shots and only managed to score 9 points (2/8 FG% 0/1 3-pointer% 5/6 FT%), 7 rebounds and 3 assists with the same play minutes as Wang Zhelin. 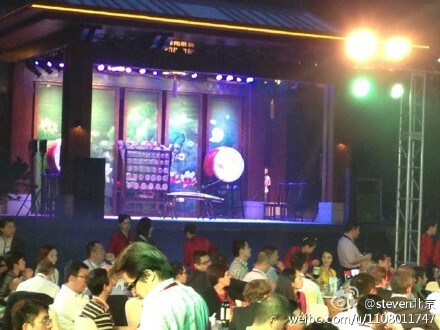 Last edited by pryuen on Tue Jul 02, 2013 7:05 pm, edited 1 time in total. 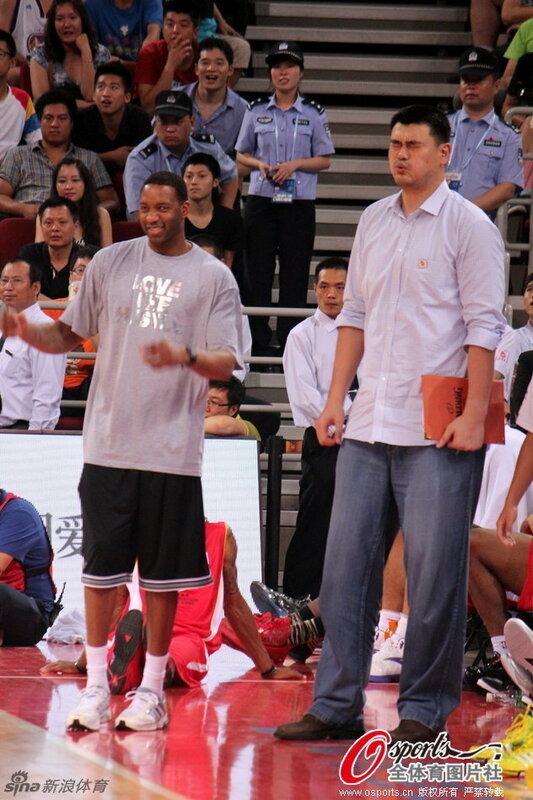 TONS OF PHOTOS from last night's 2013 Yao Foundation Charity Game !!! 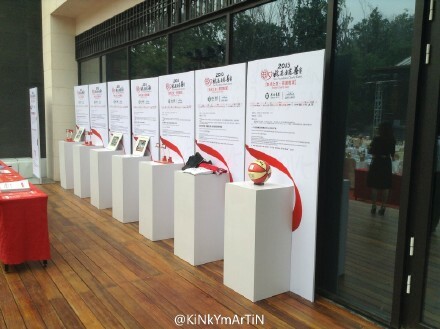 Last edited by pryuen on Tue Jul 02, 2013 7:04 pm, edited 1 time in total. 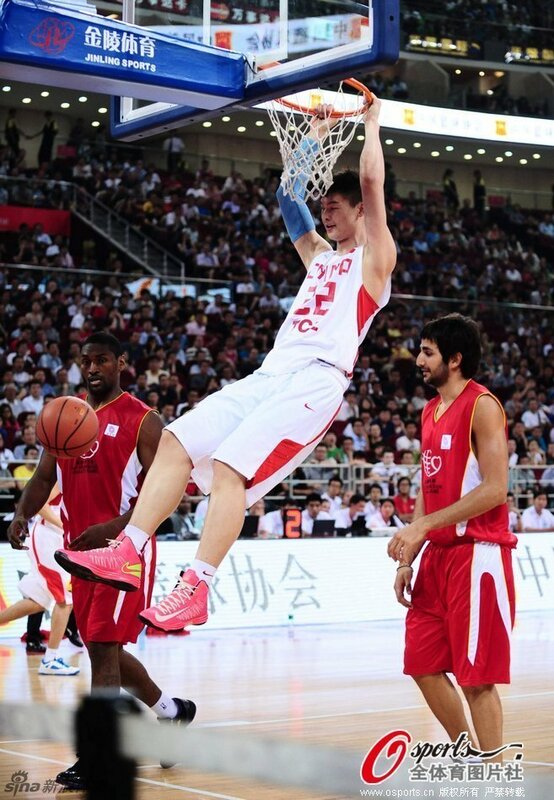 he had little lift in his elevation.